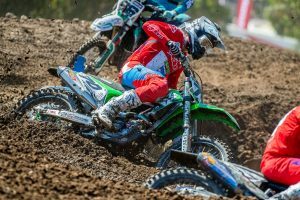 Post-race updates from the MX1 and MX2 classes at round 10 of the 2018 Pirelli MX Nationals, direct from Coolum in Queensland. 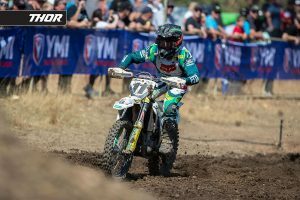 Serco Yamaha’s Wilson Todd earned a maiden MX2 championship following a conservative ride to sixth position, as Jay Wilson (Yamalube Yamaha Racing) stormed to victory in the opening 30-minute plus one lap encounter. Hamish Harwood (Davey Motorsport KTM) claimed hole-shot with Wilson and Richie Evans (Yamalube Yamaha Racing) in tow, although it was Wilson who stole the lead on lap two and never looked back. Penrite CRF Honda Racing’s Kyle Webster put in a heroic performance, closing in order leader Wilson before going down, however recovered to seal second ahead of Harwood, Evans and Jayden Rykers (Raceline Pirelli KTM). The top 10 was rounded out by newly-crowned champion Todd, Kaleb Barham (Husqvarna), Ricky Latimer (Ride Red Honda), Jy Roberts (Husqvarna) and Cooper Pozniak (Yamaha). 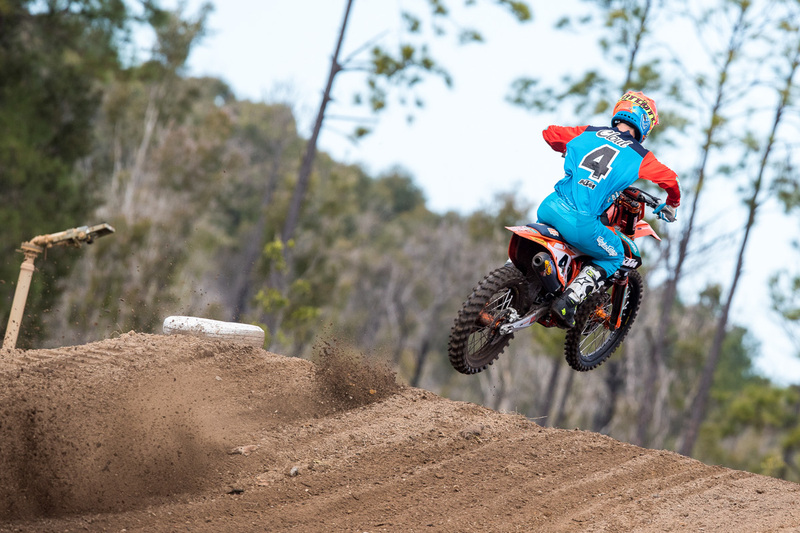 Three-time Australian motocross champion Dean Ferris (CDR Yamaha Monster Energy) dominated the opening MX1 moto, lapping up to fifth position as he captured a 37.406s victory. 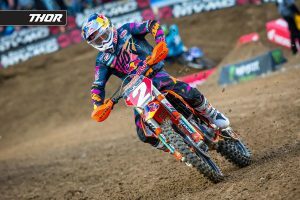 Runner-up Mitch Evans (Raceline Pirelli KTM) led from the early stages with Luke Clout (KTM Motocross Racing Team) latching on, however the number four dropped a number positions as the moto rolled on. A spirited ride from Caleb Ward (Davey Motorsport Husqvarna) saw him overcome Brett Metcalfe (Penrite Honda Racing) with two laps to go for third, as Metcalfe’s season woes continued with a another mechanical failure forcing him out of the race on the final lap. Complete Parts Kawasaki Racing’s Rhys Carter wound up in fourth ahead of Callum Norton (DPH Motorsport Husqvarna), as the top 10 was rounded out by Clout, Zak Small (Husqvarna), Dylan Long (CDR Yamaha Monster Energy Yamaha), Charlie Creech (Honda) and Joben Baldwin (Yamaha). Complete Parts Kawasaki Racing’s Aaron Tanti edged his way to the hole-shot in race two, however it was race one winner Wilson who stole the lead in the coming corners. It wasn’t long before Webster negotiated his way into the top spot, ultimately running away with a 8.404s advantage over Wilson. Harwood settled for third in a relatively tame race for the quarter-litre field, as champion Todd and Roberts concluded the first five. Fulfilling positions six through 10 was Joel Evans (Husqvarna), Barham, Pozniak, Tanti and Kale Makeham (Penrite CRF Honda Racing). Webster was granted the overall on countback ahead of Wilson and Harwood, while in the standings it was Todd, Harwood and Tanti. Clout shot-out to the lead with a mega hole-shot in the final moto of the day, although Evans quickly moved himself into P1 within a matter of corners. From outside of the top five, Ferris was leading the field in the opening stages and was unchallenged in his campaign that saw him wind up with a 34.356s advantage over a hard-charging Evans. A strong showing from Ward in third allowed him to capture third overall behind Evans and Ferris, as Metcalfe and Norton fell into positions four and five. Concluding the top 10 was Long, Clout, Carter, Small and Creech. In the standings it was Ferris, Evans and Clout.